7 Lighthouse Close01263 715779work01603 870304fax Self-cateringThis is the perfect property for a traditional seaside break and has the added bonus of the availability of the owners' beach hut (additional £60 for Sunday-Friday hire). It is a short walk from the lovely beach at Old Hunstanton and has stunning views of the seascape and the lighthouse. If you want to explore further, there are nature reserves, sandy beaches to the east and west, cycle paths, cliff top walks and the Queen's estate at Sandringham. 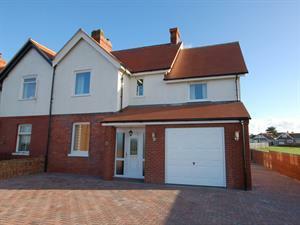 A spacious semi detached property close to the beach. This is the perfect property for a traditional seaside break and has the added bonus of the availability of the owners' beach hut (additional £60 for Sunday-Friday hire). It is a short walk from the lovely beach at Old Hunstanton and has stunning views of the seascape and the lighthouse. If you want to explore further, there are nature reserves, sandy beaches to the east and west, cycle paths, cliff top walks and the Queen's estate at Sandringham.